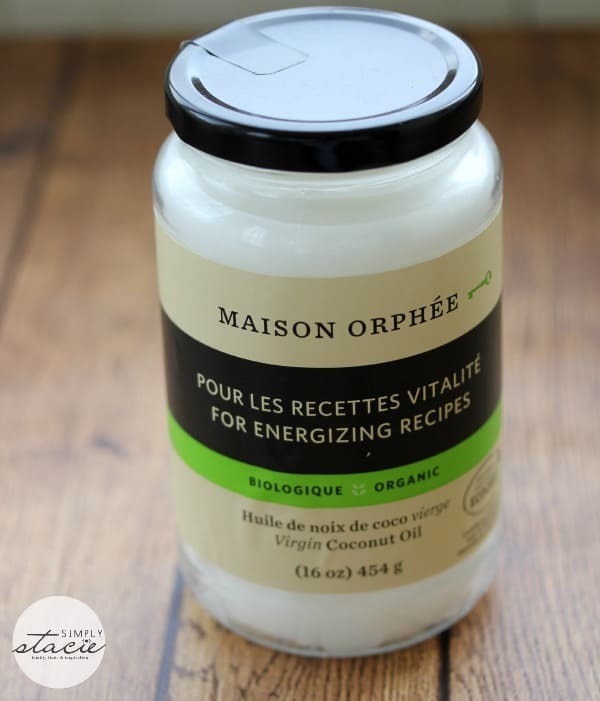 I’ve been featuring The Healthy Shopper picks for the past several years and am pleased to introduce you today to their picks for Spring 2014! It has a few products that I’ve tried before as well as some brand new ones. Spring 2014 is the fifth season for The Healthy Shopper. Each Spring and Fall, they come up with a list of recommended products for Canadians looking to cut out harmful chemicals from their diet as well as natural household cleaning products. If you are conscious of the types of foods you eat and feed your family, pay attention because I think you’ll really enjoy their picks this season. The Healthy Shopper was founded by Andrea Donsky and Randy Boyer in 1999. They know that eating organic and healthy can be more expensive and came up with a way for shoppers to save money. The Healthy Shopper coupon book is the #1 coupon book for natural and organic products in Canada. With this coupon book, you can try these products and see if you like them and who knows maybe your family will love them. I’m still purchasing some of The Healthy Shopper picks I tried from a few years ago. It’s a great way to be introduced to something you may not have purchased on your own without a recommendation. 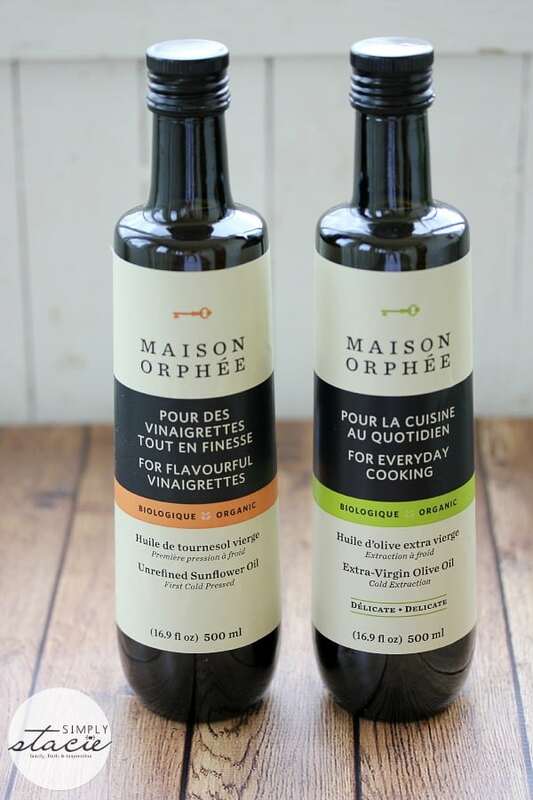 First up is Maison Orphée unrefined organic virgin sunflower oil, extra virgin olive oil and virgin coconut oil. The oils are cold pressed, organic with a more intense aroma compared to traditional oils. None of this brand’s products are genetically modified or treated with chemical fertilizers. I don’t often cook with sunflower oil, but I use olive oil all the time in my cooking. I made a spinach quiche earlier this week and used the oil to sauté the veggies on the stove. Another interesting thing about olive oil is that it’s good for dry skin. I had a dry irritated patch of skin and my doctor suggested putting olive oil on it. It works wonders for me. My mom is really into the benefits of cooking with coconut oil so I’ve talked to her more about what I can do with my jar. I know it can be used as a replacement for butter in recipes. I’m looking forward to do a little baking and see how it turns out. 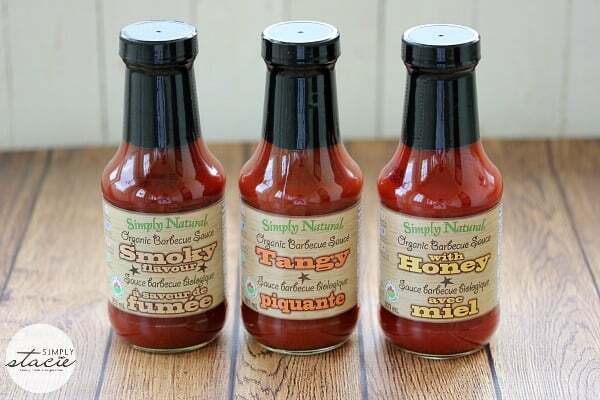 Simply Natural has been featured on The Healthy Shopper Picks before and I regularly buy their pasta sauces and salsa. This Spring, they are showcasing their line up of organic barbecue sauces. They are organic, fat-free with zero trans fats and no high fructose corn syrup. Simply Natural is also committed to producing its products in small batches so it can ensure they make a high quality product. They always deliver on that promise in my opinion and these barbecue sauces are no different. I enjoy adding them to steak and chicken. They’ll be getting lots of use once we fire up the grill! They come in three flavours: Tangy, Smoky and Honey. 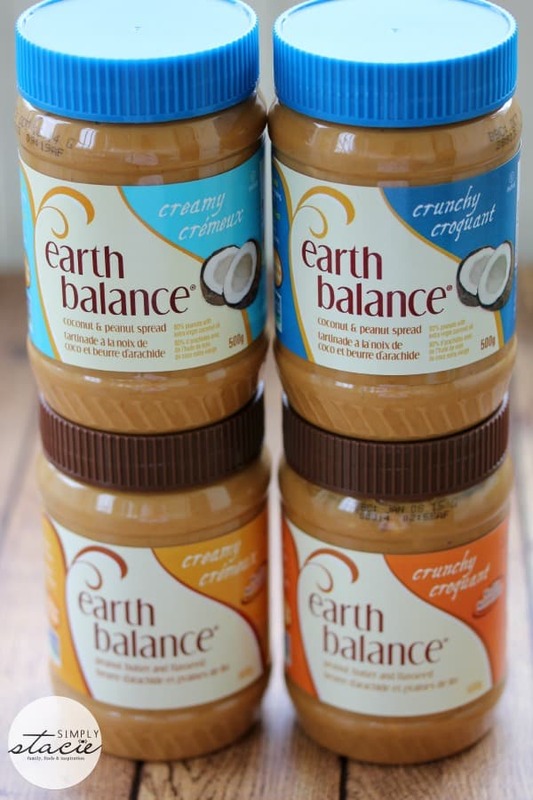 I’ve also tried Earth Balance Butter Spreads, but I didn’t realize they also had a line of nut butters too. Their products are 100% plant-based, vegan, non-GMO, lactose-free, gluten-free, casein-free and have 0g of trans fat. Now try saying that 10x fast! They have peanut butter made with coconut oil and peanut butter made with flax seed oil in both crunchy and smooth. With the coconut oil one, I can taste the hint of coconut and wasn’t crazy about it at first. The flavour grew on me though and now I don’t mind it on toast. On the other hand, I can’t get enough of the peanut butter with flax seed oil! I love that it isn’t full of sugar and has loads of flavour. Olympic Dairy yogurt is delicious! It’s so creamy and perfect in smoothies. Try the Organic French Vanilla Yogurt with fresh berries for breakfast….yum! They also have organic milk, cream cheese and sour cream and their products contain no preservatives, gluten or gelatins. Also, Olympic Dairy is 100% Canadian owned and operated! I didn’t realize that either. Visit The Healthy Shopper to learn more about these fabulous selection of natural and organic products. Also, make sure you check out where you can pick up one of the coupon books. I like that they have product reviews. I like that they have product reviews and recipes. That the site will soon offer nutrition advice. I love that they have a great list of healthy recipes. The recipes on the site are great. I like that you can get coupons there! I learned that the food we eat can affect our mood. I really like the wide variety of recipes. I like that they have e coupons available. I like the wide variety of recipes and coupons! I like that they have coupons! I like that there are coupons. Did somebody say coconut and peanut spread! Hello, I would like to have that…..NOW! I love going through all their great receipes! I like that there is a recipe section on the website. I like that they have recipes, coupons and reviews. The benefits of almond milk… I’ve always just drank it because I liked the taste! There are E-coupons available on Healthy Shopper. I like the recipes……always trying to find new things to try. All of the benefits of probiotics are great! I would like to learn more about cooking with coconut oil. They are Canadian and offer many recipes and soon Nutritional advice. COOL! I liked the recipes and the different nut butters. I tried their butter made from coconut oil and it was great! I LOVE my coconut oils, can’t live without them.